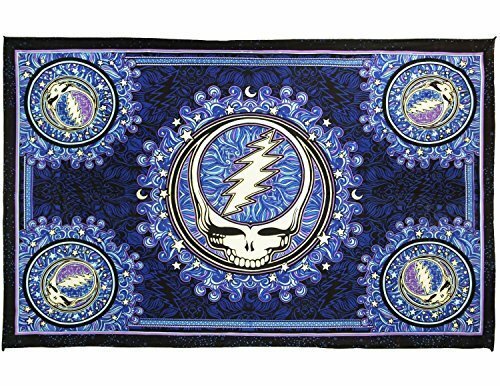 Designed by Dan Morris, this officially licensed Grateful Dead SYF Steal Your Face tapestry is 30" x 45", made of 100% cotton and has loops on the side for easy hanging. Especially useful for those who adore our larger tapestries and don't have the wall space. You can use this tapestry as wall hanging in your home or office. It would look great in a dorm room and even better under a black light. Going to a festival this summer? Hang it up by your campsite.